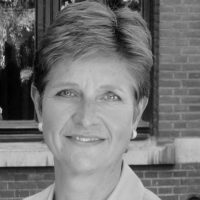 Anchrit Wille is associate professor in public administration at Leiden University’s Faculty of Governance and Global Affairs. Her research focuses on EU governance, executive politics, political-administrative relationships, accountability, and political participation. She has (co)-authored several articles and books. In 2013 she published The Normalization of the European Commission: Politics and Bureaucracy in the EU Executive (Oxford University Press), and in 2017 together with Mark Bovens Diploma Democracy: The Rise of Political Meritocracy (Oxford University Press). A new, educational divide has become visible in Western European democracies.